On what planet is General Alexander worth $1,000,000.00 a month? The news wires reported General Keith Alexander moved in to the private sector, and offering his services to finance companies for a million dollars a month. This is the person that took control as the director of the National Security Agency on August 1, 2005 and left in October 2013 (Wikipedia). Remember, that was after the Edward Snowden leaks came out. Which really leads one to wonder were those really leaks, or was that a case of we know this is compromised lets make it public knowledge so we can hide the real data. Here is an interesting thought, is Snowden really still working for the U.S. Government? If you’ve read the Cryptonomicon or seen the Sherlock episode “A Scandal in Belgravia“, you probably know what I mean. For those that need a quick refresher – let assets of lower value go, to hide the assets of higher value. Blow up planes with dead people on them, instead of letting real passenger jets get blown up. Let a German U-Boat sink a freighter or get past the blockade to keep them from realizing that the codes are broken. The C-Levels at banks should be asking some hard questions if Gen. Alexander is showing up offering them service. Like what really happened on the Snowden watch. How does that failure make his people qualified for the private sector’s needs? Yes while Gen. Alexander may have some Government related attack sources, we already have that in the private sector with Infragard, and the different breach reports. This entry was posted in Uncategorized and tagged failure, leaks, news, snowden on 2014/06/22 by Chris J.
I’m working on a project using the Raspberry Pi. The requirement was that I use the TP-LINK TL-WN722N, actually I just needed a wireless adapter with an external antenna. When I found the TL-WN722N on Amazon, the reviews said people were having no problems plugging the device straight in to the Raspberry Pi. While researching things today, I came across this penetration testing article by Cyber Arms. 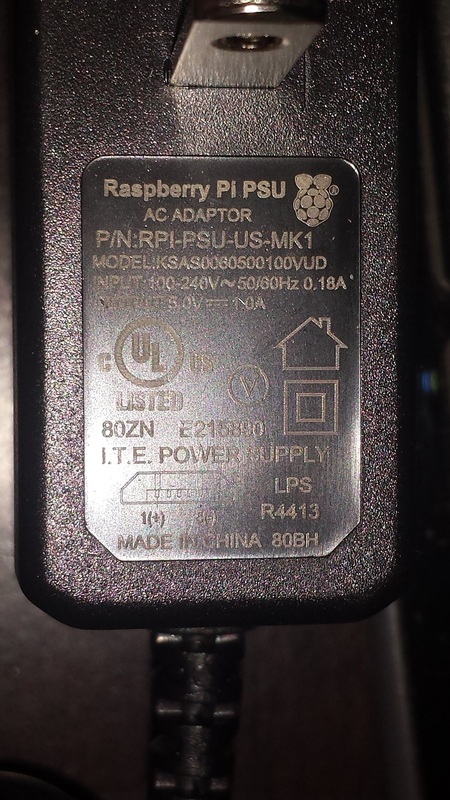 There, and several places on the Raspberry Pi forums it said that people needed to use 2.1 amp usb chargers. The others wouldn’t do what was needed with the Pi, and the wireless adapter plugged in. So I went out and got 3, 2.1 amp plugs, when I bought extra Raspberry Pi units. I’ve done some testing with the power cables I got last time. the standard 5v, 1000 mA (1 amp) ones, and it ran the plug for the wireless keyboard remote (small keyobard) and the wireless adapter, with no problem. 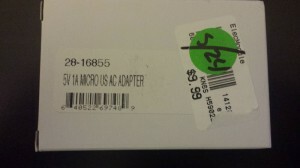 Here is the one I got, it’s made in China, and sold via MCM. Sorry about the flash on the photo, but that was the best one I got after 10 tries. 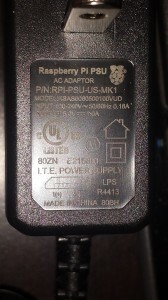 This entry was posted in Class and tagged raspberry pi on 2014/06/21 by Chris J.